OXFORD, Miss. – Selected memorabilia and artifacts belonging to the late Mississippi business leader and civil rights movement icon Jack Reed Sr. will be displayed this fall at the University of Mississippi. A display prepared from a larger collection of Reed’s papers opens Aug. 23 on the third floor of the J.D. Williams Library. Scheduled presenters for the 5 p.m. event include Scott Reed, Jack Reed’s youngest child; Andy Mullins, the UM chancellor’s chief of staff emeritus; Vaughn Grisham, professor emeritus of political science and founding director of the McLean Institute for Public Service and Community Engagement; and Jennifer Ford, the library’s head of archives and special collections. Other members of the Reed family expected to attend include children Jack Reed Jr., Camille Reed Sloan and Catherine Reed Mize, and several grandchildren and cousins. “Special Collections is extremely honored to house the papers of Jack Reed Sr., and we are indebted to the Reed family for this gift,” Ford said. “Work has already begun to catalog the extensive collection to make it available for scholarly use by early 2019. Reed was a Tupelo retail owner who became a strong voice and guiding light that significantly affected the peaceful integration of Mississippi schools in the 1960s. Reed Sr. served as chairman of President H.W. Bush’s National Advisory Committee on Education Research and Improvement. He was known for his excellent public speaking skills and his ability to combine humor, wit and insight into very serious subject matter. In 1987, Reed ran as the Republican nominee for governor, using his staunch support of public education as a major platform for the election, which he eventually lost to Ray Mabus. He also was active throughout his career in the Mississippi Economic Council, serving as president in 1964. 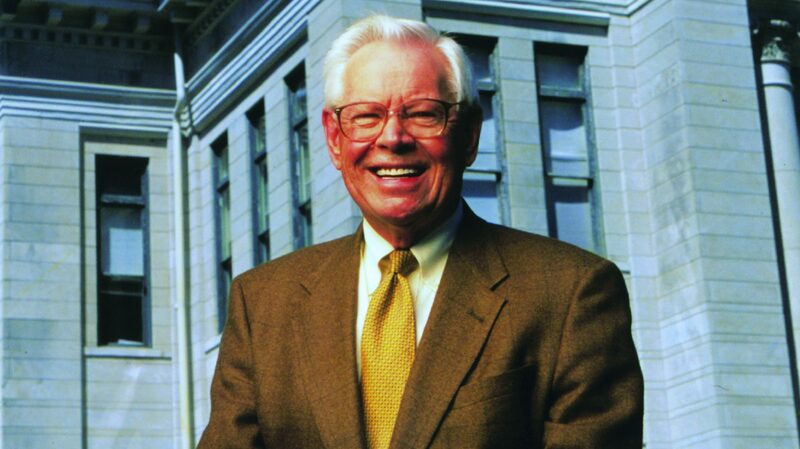 Throughout his career, Reed’s contributions in the realms of public education, economic and community development, and race relations spanned the state and region. For more information on the Jack Reed Sr. Collection, call Jennifer Ford in the Department of Archives and Special Collections at 662-915-7408 or email archivesdept@olemiss.edu.